Disclosure: I am a member of the KraftHeinz #WhatsCooking contributors. As such, I receive compensation for sharing their products, ideas, and recipes. 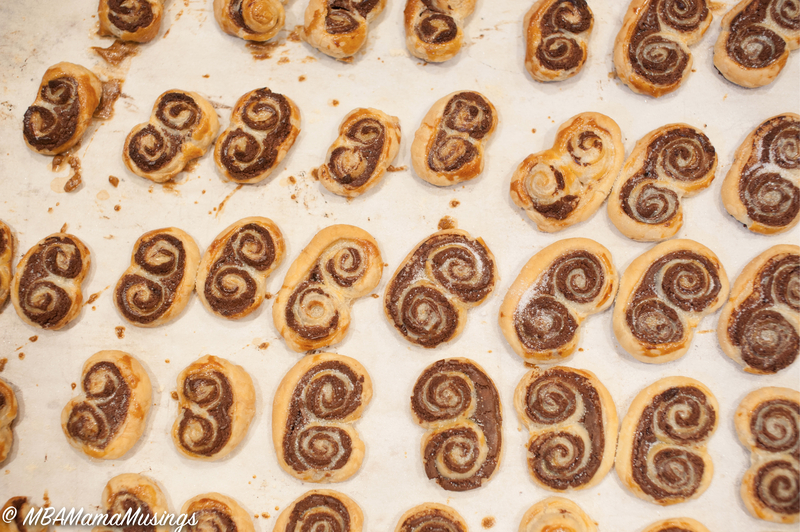 I always thought palmiers were some sort of super complicated delicacy that I was forced to buy at a fancy bake shop. Turns out, I had been lied to. A box of puff pastry is really all you need to create these tasty little gems. Kraft Canada has combined their Philadelphia Cream Cheese and Baker’s Semi-Sweet chocolate to create a chocolate palmier that is out of this world simple and delicious. 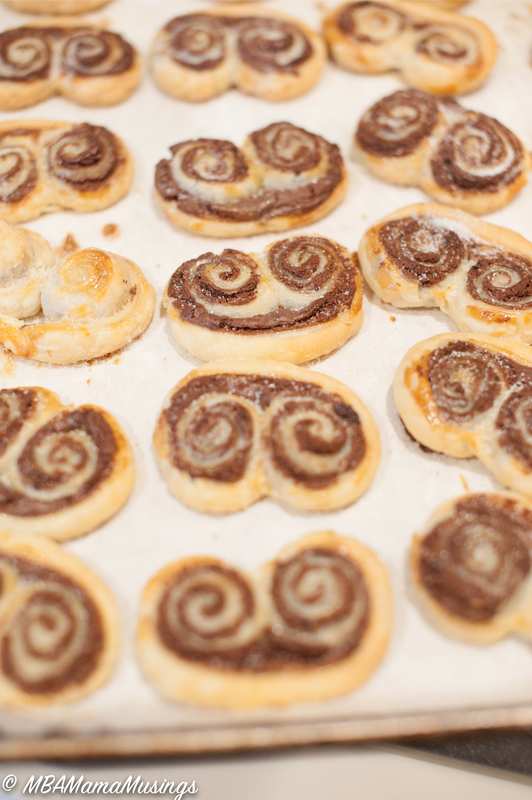 The original palmier recipe calls for the addition of pecans. Since these ones are going to school as teacher thank you gifts, I’ve skipped the nuts. You can make these ahead and keep them on ice until needed. After slicing, freeze them on a parchment lined tray. Once they’re thoroughly chilled, package them in an airtight container until they’re needed. Let them warm up to a slightly pliable stage, and proceed as usual. One Response to "Chocolate Palmiers #WhatsCooking"